Southern California in the 1960s was a medley of subcultures and endless summers. One such subculture was surfing. Photographer LeRoy Grannis captured images during the golden age of surfing in 1960s Southern California. 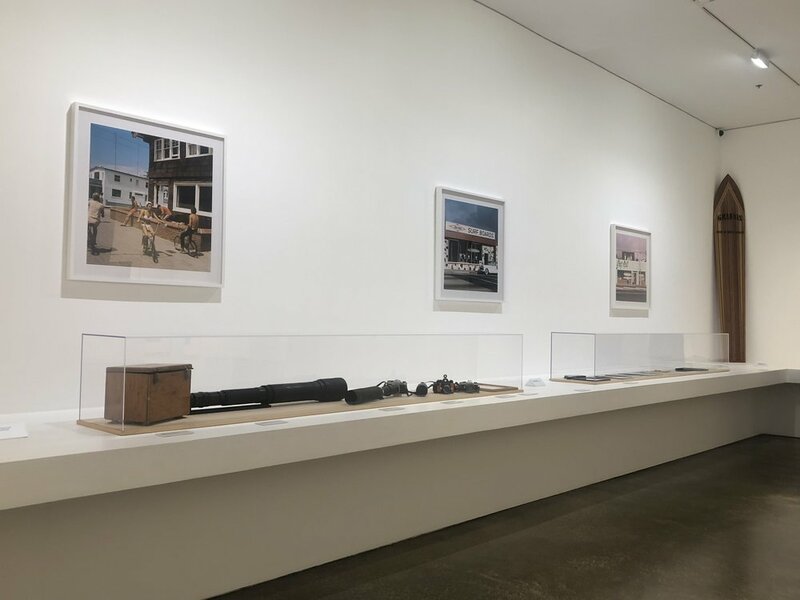 Organized by the Long Beach Museum of Art, “Cult to Culture,” explores the modest beginnings of surf culture to its transformation into an international sport, and ultimately, a lifestyle. Grannis, or Granny as he was later called, was born in 1917 and raised in Hermosa Beach. He learned to surf at 14 and did so until he enlisted in World War II. It was not until after the war, at the age of 42, that he began to delve into photography. The exhibit features photos from Grannis hometown Hermosa Beach to Huntington Beach and Malibu. Some photos are even from Hawaii, as Grannis traveled with California surfers who went to the islands in search of massive waves. The photos are rich in color and ethereal; they capture the essence of Southern California beach culture. The photo start out as locals surfing but as the exhibit progresses, the photos main subject become about professional surfers. In order to take some of the photos, Grannis would join the surfers and take his camera in a wooden, waterproof box. The exhibit also features memorabilia such as said box and his cameras. Vintage surf magazines Grannis was featured in are also displayed. The transformation from hobby to lifestyle is evident in Grannis photos. The photos are not just of surfers though. They include onlookers relishing the surfers and even some street photography. They evoke nostalgia for summer and of a time perhaps the viewers did not live in. Grannis died in 2011 but his photos tell the concise story of a little known sport that erupted and became quintessential to the 1960s and synonymous with Southern California. “Cult To Culture” runs through to April 21, 2019 at the Long Beach Museum of Art.